It may come as a bit of a surprise to realise that Cowboy Junkies has released over fifteen albums over the course of their career. This year marks thirty years since the release of their second album The Trinity Session, which, though recorded on single microphone, went on to sell over a million copies. Though there are many bands who combine blues, folk and country, this Canadian band’s approach remains unique, and still beguiling. It may start with Margo Timmins’ voice – but that’s just part of the picture. Like one of Canada’s other great musical exports, Neil Young (whose song ‘Powerfinger’ the band covered on their third album, 1990’s The Caution Horses), there’s something very affecting about the use of the opening song, ‘All That Reckoning’ re-appearing in far more electrifying form towards the end of the record (see what Young did with ‘Rockin’ In The Free World’ on 1989’s Freedom). Though the opening is a slow and heavy blues, the ‘Part 2′ version’ continues at the same speed but with an intensity that evokes Sonic Youth or Dinosaur Jr, maybe even Swans, without sounding anything like those acts, and somehow manages to sound utterly contemporary. It’s their first album since the four part Nomad series that appeared in stages at the start of the decade. Like many other acts, looking what is happening south of the Canadian border, the album takes a personal and political stance. On ‘The Things We Do To Each Other’ they deliver one of the most potent lines of the Trump presidential era: ‘Fear is not so far from hate, so if you get the folks to fear, it only takes one small twist to kick it up a gear.’ Gulp. Along with the next two songs that follow on the album ‘Wooden Stairs’ and ‘Sing Me A Song’ the band remind you that, actually, they know how to rock, too, thankfully without resorting to cliché. Should you be looking formore of a mellower sound, ‘Mountain Stream’ and the closing ‘The Possessed’ offer it in spades. 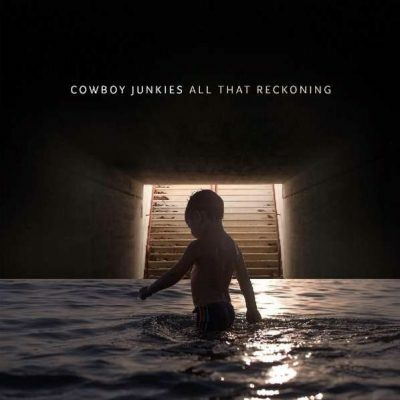 So, yes, it’s definitely a Cowboy Junkies album. It’s certainly not trying to make another album in the vein of one of those aforementioned records from their earlier years. It’s a record which shows that a band who have been together without a lineup change since before their first album can continue to innovate and explore. As anyone who likes to savour albums might hope, successive listens reveal more strands of what is going on below the surface. It’s never been easier to ‘find’ albums, so put this on your priority list. All That Reckoning is out now on Proper.